A man walks past a Wells Fargo branch in Philadelphia. The banking company says it wants to make good by its customers, but figuring out how to do that will be a tall task. This month federal regulators fined Wells Fargo $185 million for opening checking and credit card accounts on behalf of customers who had no idea that was happening. The bank has promised to try to make restitution. But that&apos;s a lot harder than it sounds. A big question is how to compensate people whose credit scores were hurt by what the bank did. Regulators say that over a five-year period some two million credit card and deposit accounts were opened that may not have been authorized by the bank&apos;s customers. And though no one knows for sure, it&apos;s almost certain that the accounts had a big impact on customers&apos; credit scores. For one thing, each time a credit card is issued to a consumer it&apos;s noted on that person&apos;s credit report. And that&apos;s just the beginning of the potential problems. "If that account had an annual fee, the consumer doesn&apos;t know about this account, they don&apos;t pay the annual fee," says Chi Chi Wu, a staff attorney at the National Consumer Law Center. "So now the consumer has these late payments showing up on their credit report and that&apos;s pretty damaging." In some cases, Wells Fargo employees would transfer funds into the new accounts from one of the customer&apos;s existing accounts. That could result in late fees or fines for insufficient funds. Ira Rheingold, executive director of the National Association of Consumer Advocates, says that would have had a direct impact on someone&apos;s credit score. "You may not have qualified for a mortgage or you might have been dinged by getting charged a little higher interest rate because of what was reported wrongly on your credit report," he says. But the potential impact goes beyond the customer&apos;s finances. These days, credit scores are routinely checked by potential landlords, by employers — even by cellphone companies. Wu says someone who has racked up too many overdraft fees because of unauthorized accounts may have trouble getting another checking account. "Once something affects a consumer&apos;s credit report and credit scores, it has the potential to have a lot of impact across the consumer&apos;s entire economic life," she says. At a Senate Banking Committee hearing last week, Democrat Jon Tester of Montana warned Wells Fargo CEO John Stumpf about what was at stake. 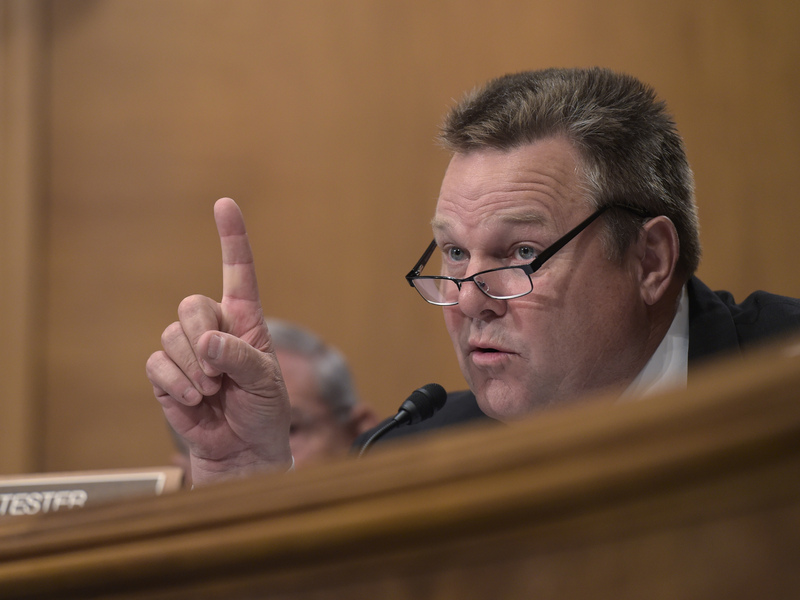 "I am telling you that if information was sent into the credit bureaus because of these falsely opened accounts, the impacts on this are far far far more than the fees or fines that could be associated with that," Tester said. Wells Fargo is already contacting customers to find out whether they wanted the accounts opened in their names, and it has promised to do right by those who were hurt. But unwinding the damage won&apos;t be easy. "What happened to the consumer who, the employer looked at their credit report and didn&apos;t give them a job because they saw they had all these credit cards open? How do you figure that out?" says Rheingold, the consumer advocate. Likewise, he says, how does Wells Fargo calculate how much it owes someone who had to pay a higher mortgage rate because of the inaccurate information it sent to the credit bureau? It would mean contacting the person&apos;s lender and trying to determine why it charged the interest rate it did, and that would require a lot of detective work. Wells Fargo says it wants to make good by its customers, but figuring out how to do that will be a tall task.